(AccuWeather) – Dangerous heat is expected to expand across and have a firm grip on western Europe for the first several days of August. "It is not out of the question for temperatures to reach 49 C (120 F) in southwestern Spain and parts of southern Portugal Friday into Sunday," AccuWeather Meteorologist Tyler Roys said. Intense flooding and gale-force winds are expected in places causing travel chaos around the country. According to The Daily Express, Saturday marked the first day since 23 June that nowhere in the UK had temperatures above 25C. Yesterday's highest temperature, 24C, was found in Cavendish in Suffolk and Weybourne in Norfolk. This points to a dramatic 10-degree drop from Thursday, the hottest day of the year so far. 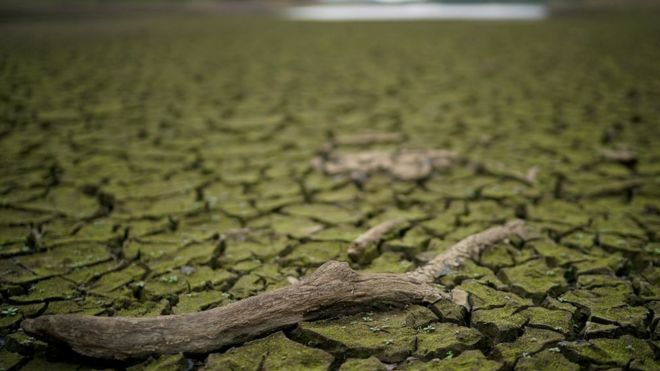 However, the Met Office is warning the heatwave will be back by midweek. Temperatures again soared above 30 °C across parts of north Europe this weekend. Foehn winds warmed the fjords of western Norway up to 33 °C and up to 30 °C far north at 70°N, within the Arctic circle. 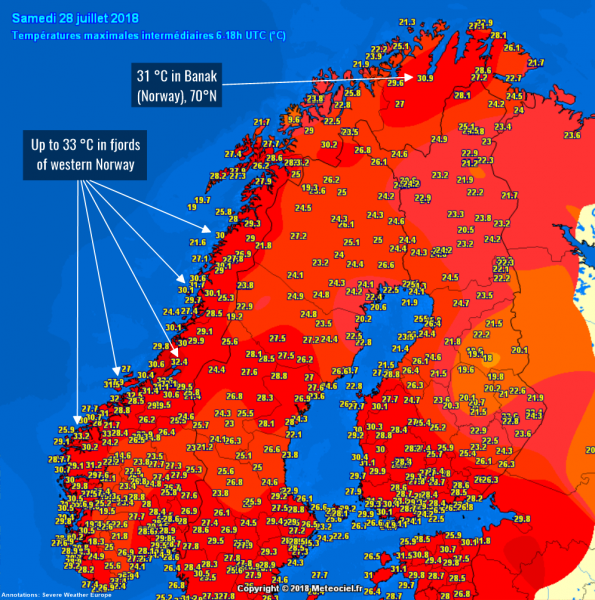 On Saturday the coast of western Norway hit up to 33 °C as Foehn winds warmed the fjords. Banak, Norway at 70 °N pushed to 31 °C. Temperatures again pushed to 30 °N as far north as Banak, Norway on Sunday. Daytime highs in the upper 20s and even above 30 °C were recorded across much of north Europe. Tromso, Norway hit a night time minimum of 20.8 °C, the highest since the beginning of measurements in 1920. No respite for the region, as 5-day GFS model guidance indicates temperatures in the upper 20s and lower 30s, with temperature anomaly up to 10 °C above average.